SEATTLE & MINNEAPOLIS--(BUSINESS WIRE)--Apr. 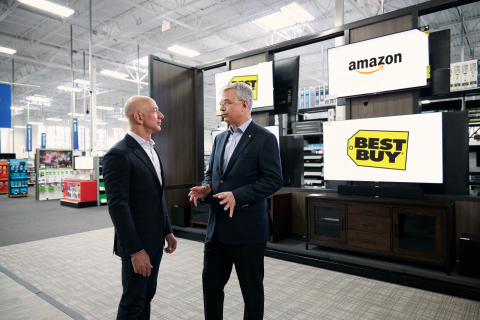 18, 2018-- Amazon (NASDAQ: AMZN) and Best Buy (NYSE: BBY) today announced a collaboration to bring the next generation of Fire TV Edition smart TVs to customers in the United States and Canada. As a first step in the partnership, Best Buy will launch more than ten 4K and HD Fire TV Edition models from Insignia and Toshiba, beginning this summer.